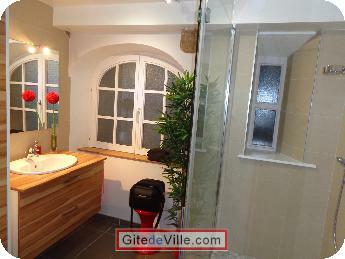 Self Catering Vacation Rental of 40 m² in Strasbourg for 2 peoples. Nous louons avec un minimum de 2 nuitées, dégressivité à partir de la 3eme nuit..
N'OUBLIEZ PAS VOS DRAPS ET HOUSSE de COUETTE. Bien sûr, nous pouvons louer draps et linge de toilette pour 29 € par semaine. We only respond to inquiries by telephone to filter out the true applicants: 33 (0) 6 07 18 43 30. 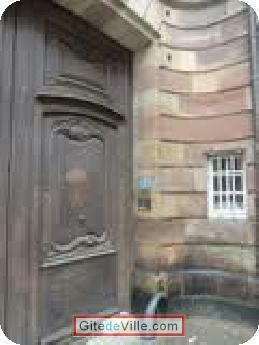 Come and spend a few days in the building where Rouget de Lisle performed "La Marseillaise" at the Mayor of Strasbourg Frédéric de Dietrich in April 1792. We remind you that you come "home" and not in a tasteless house. Indeed, we did everything to make our apartment the color of our taste in decoration. 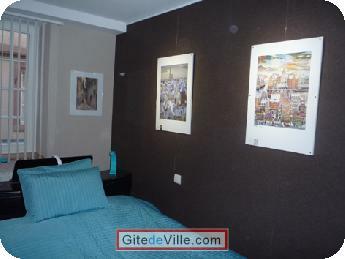 We have integrated part of the cultural heritage of Strasbourg as for its artists (UNGERER, AMBIELLE). A stained glass window, made by the Glass Nave, has just been placed to recall the history of this building through the stylized coat of arms of the Waldner Freundstein. Our motto: "Respect the trust of guests by redoubling your attention to the property entrusted to you"
3 keys and 3 stars, also approved by the European Commission to receive the collaborators of the European Union and related structures. It is located on the ground floor of an 18th century building 350 meters from the cathedral, in a semi-pedestrian street, in the heart of the Big Island. It benefits from the proximity of the Theater, Opera, Museums, Cinemas, Bars, Restaurants as well as many shops, markets including the famous Christmas market. Its surface is 40 m². 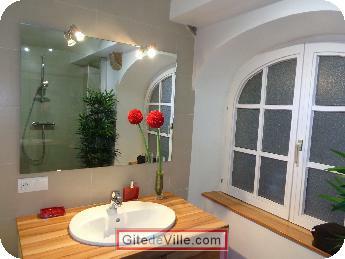 It consists of 2 rooms, a closed kitchen and a bathroom with toilet. Its ease of access will interest anyone who does not wish to go upstairs. 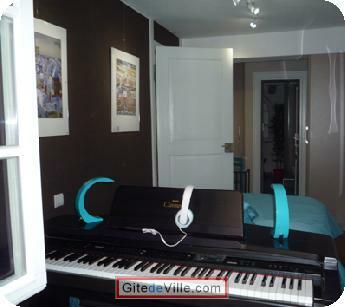 A digital piano is at your disposal. Wifi or wired internet is present. 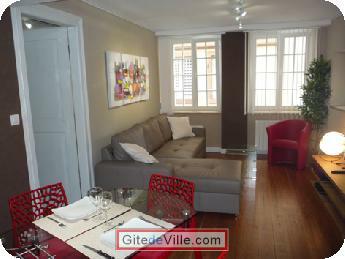 The decoration is also its strong point and its very comfortable furniture will be a plus for a good time. 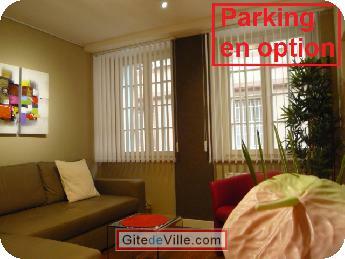 Closed and secure parking can complete your stay. 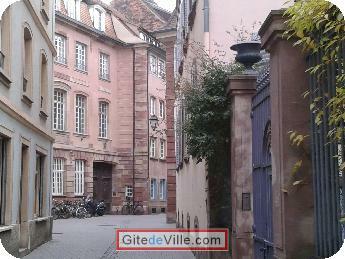 Check our website Clévacances or the Tourist Office of Strasbourg. 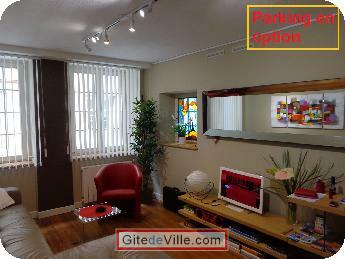 Our apartment can accommodate you for all your stays in Strasbourg, trade shows, workshops and various. A special rate is granted for long-term stays. At the Hyper center of Strasbourg, 350 m from the cathedral. in a pedestrian street connecting the Jewish street to Place Broglie. 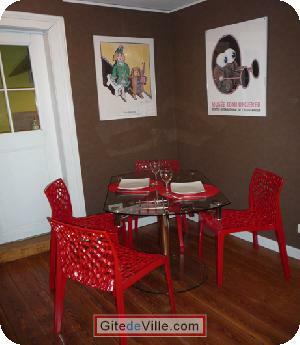 All restaurants and immediate access to the walks in the historical center of Strasbourg. 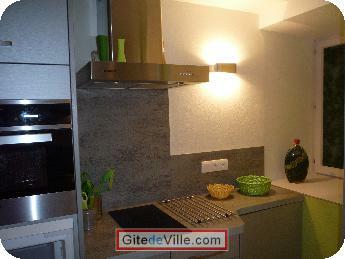 At 200 meters from the Christmas market Place Broglie.Private and secure parking can be offered in addition. Last Ads update : 04/25/2019.